PX to clear- TRADE PRICE, RETAILS AT 3490 - Sold as Spares or Repairs - no warranty implied or given at point of sale. Please feel free to have the vehicle mechanically inspected if you wished before purchasing. MOT expires March 2019. Instrument cluster changed at 78k miles and is now reading 20k on the dash. 98k miles total. Starts, runs and drives sweetly through all of the gears. Electric convertible roof is fully operational and it comes with full leather interior + £1000 Kenwood Navigation system upgrade. 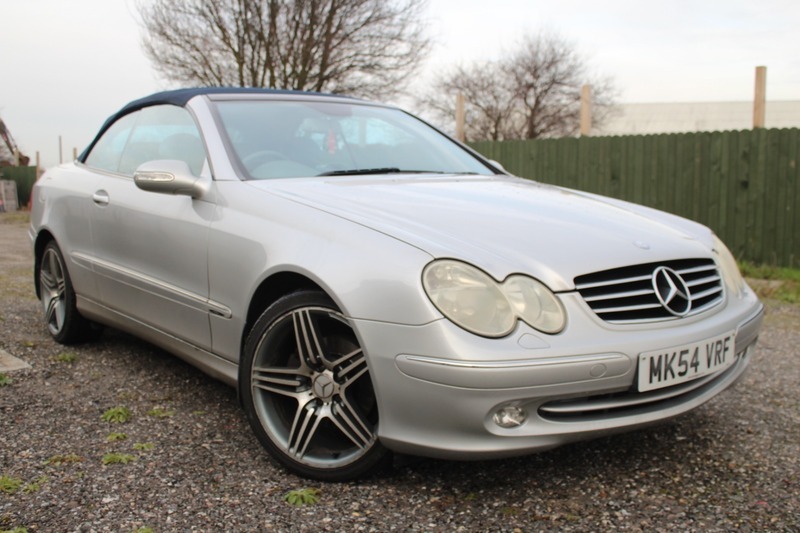 Lovely cheap Automatic Mercedes Convertible here for someone at a bargain price. Vehicle is in good/excellent condition, just a couple of minor pin dents, which are hardly noticeable. It also has upgraded AMG alloy wheels, all of which will require refurbishment as they have been curbed or are starting to delaminate. We are OPEN 7 DAYS A WEEK - Viewing STRICTLY by APPOINTMENT ONLY.